Trace sewing patterns – Nice dress! Thanks, I made it!! Did I do okay? Part two… and a quick Cardi for the cold office! I am going to try it again. Like always, if you don’t like it the first time, keep trying until you are happy with the results. 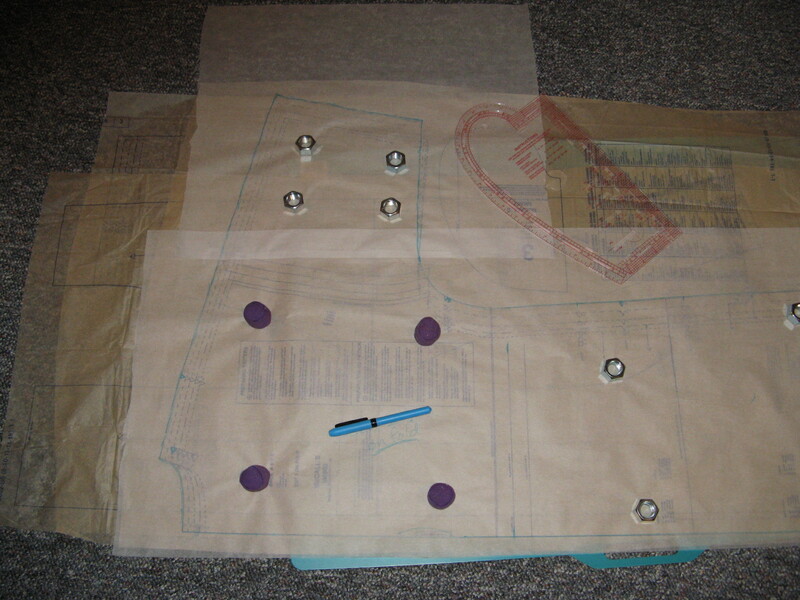 I traced my first pattern in my lifetime here. It was good, but not great. So I try again, this time with tracing paper from the art section of my craft store. Unfortunately in my excitement in finding it I grabbed the wrong width, so I might have to tape together two widths of it to make it wide enough for some of my tissue pattern pieces to fit. But I do have lots so I am not worried about that!